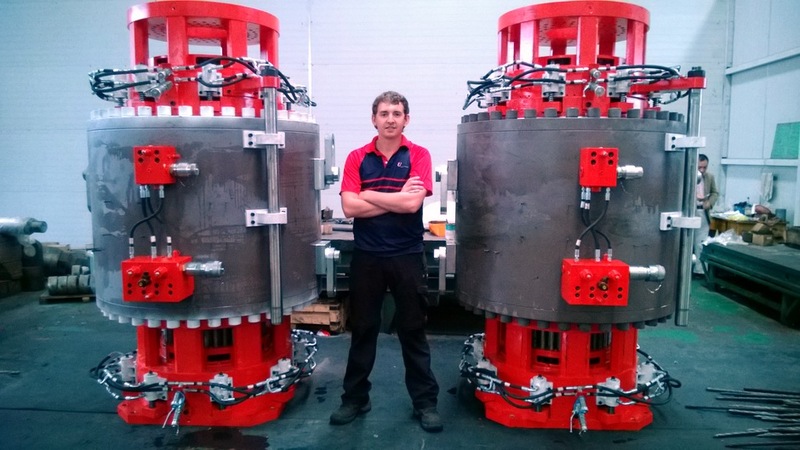 Strand jacks offer a compact, economic and highly controllable solution for heavy lifting and lowering operations. We manufacture strand jacks from 15 tonnes capacity per jack though to 1672 tonnes capacity per jack, together with power packs and control systems to enable controlled lifting of heavy objects at up to 80 lifting points or more, and with lifting speeds usually of between 5 - 50 meters per hour. All our strand jacks can be used with both 18mm 7-wire drawn strand and 15.7mm 7-wire super strand to BS 5896. Please see our strand jack brochure for the jack safe working loads when used with each size of strand. All our strand jacks are fitted with long life grips and come complete with a solid stainless steel telescopic tube bank running the full height of the jack to prevent any strand buckling within the jack. 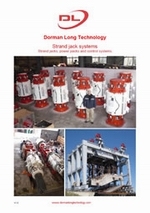 Our strand jack systems have many other advantages which you will find listed on pages 3 and 4 of our brochure. 1992 for use in the construction of bridges, refineries, offshore structures, large roof structures, power stations and other projects where these systems can be used to best advantage. 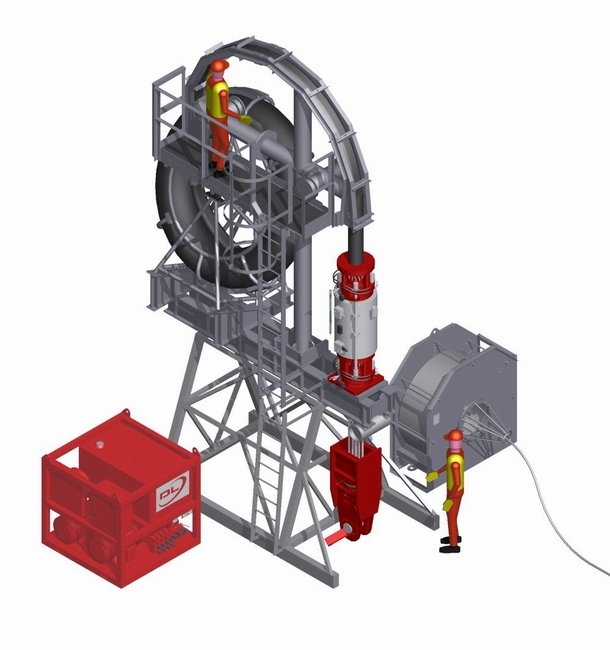 The heavy lifting and skidding operations performed using this equipment are usually critical to the success of a project and it is therefore essential that the equipment is robust, reliable and easily serviced. All our strand jacking systems are 100% designed and developed in-house to international standards and designed and manufactured in accordance with our accredited ISO 9001 quality management systems. Our systems are designed for safety, long life, robust performance and ease of maintenance. To date we have manufactured over 730 strand jacks for clients all over the world, with a combined lifting capacity of over 150,000 tonnes. We supply complete strand jack systems for lifting, lowering or skidding, comprising the strand jacks, power packs (electric or diesel driven) and control systems. For full details of our strand jacks, power packs and control systems please download our latest brochure. 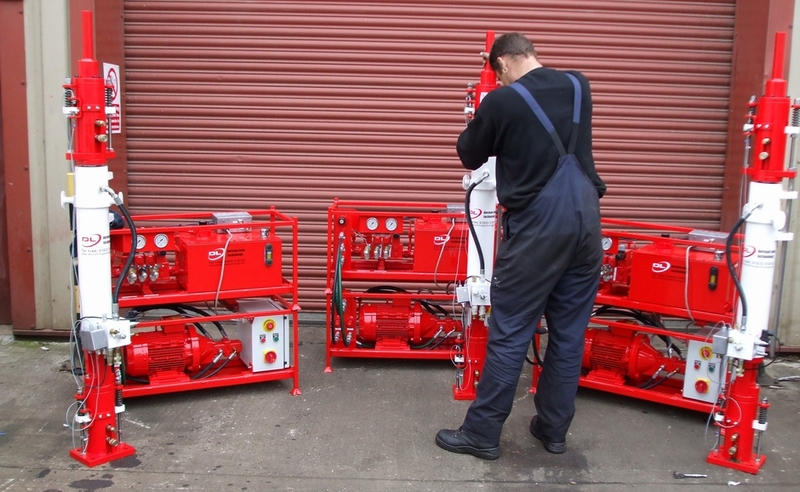 DL-S15 strand jacks (15 tonnes safe working load per jack ) with our DL-LS6/1/250/E lightweight power packs. All our stand jacks are pressure tested to 150% of safe working pressure and load tested to 125% of safe working load prior to dispatch form our works. These tests are independently witnessed and certified by Lloyds Register. All our systems are supplied with a comprehensive manual for the operation and maintenance of the equipment, including a full set of test certificates and a section giving guidance on method statements, risk assessment and health & safety with examples from our own heavy lifting projects. We offer on-site support, advice and training given by our own heavy lifting Site Supervisors to ensure that the equipment is used safely and properly maintained. We are also able to offer expert in-house engineering advice to our clients on how to use the equipment to best advantage, including detailed design of temporary works. 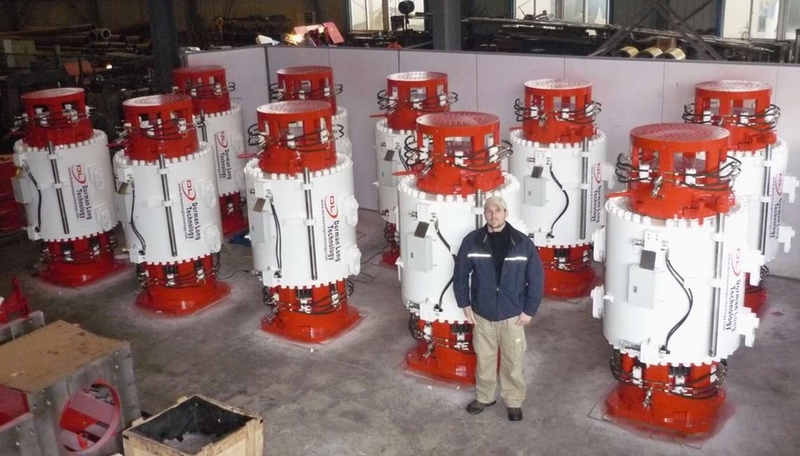 We put a lot of thought into the efficient use of our strand jack systems. Below is our standard jack carriage system for assembling the jack, strand and fixed anchor at ground level. The complete jack carriage can then be lifted into position on the job site as shown in the below picture.